Patent systems are generally viewed as a means to reward inventiveness, promote technical progress and foster the dissemination of innovations. However, the role of the patent system in promoting innovation is less substantial than often claimed, especially in developing countries. Patents may even stifle the very innovation they are supposed to foster and can be used to unduly block or delay legitimate competition. This is particularly the case in the pharmaceutical sector, where a large number of patents on developments with low or no inventive activity have been extensively used to deter generic competition. In some situations, governments have faced the need to grant compulsory licenses to overcome the limitations created by such patents. 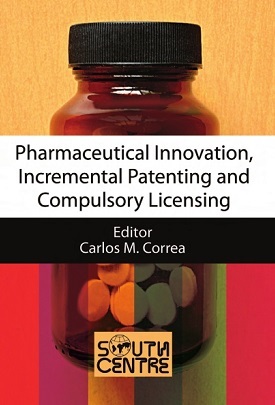 This book examines patent trends and the use of compulsory licenses relating to pharmaceuticals in five developing countries: Argentina, Brazil, Colombia, India and South Africa. It finds a number of common features and problems, and shows how the application of rigorous standards of patentability may contribute to protect public health by promoting local production and competition. Carlos M. Correa is the Special Advisor on Intellectual Property and Trade of the South Centre and Director of the Center for Interdisciplinary Studies on Industrial Property at the Law Faculty, University of Buenos Aires.